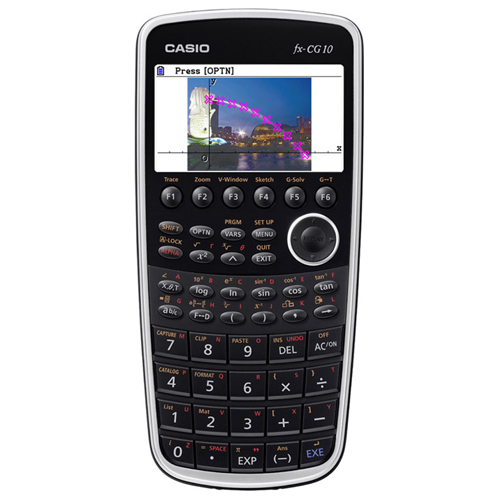 I love mathematics and I also love gadgets so you’d think that I’d be overjoyed to learn that there are a couple of new graphical calculators on the block. You’d be wrong! 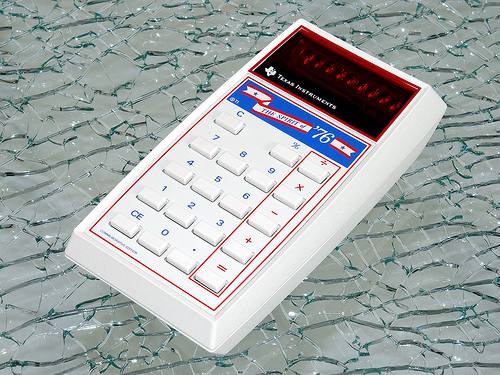 More recently, Texas Instruments countered with its color offering, the TI-NSpire CX CAS. This one costs $162 (source) and its specs are also a bit on the weak side but quite a bit higher than the Casio. CPU? I have no idea. Can anyone help? So, I don’t get it. Why do so many people advocate the use of these calculators? They seem pointless! Am I missing something? Comments welcomed. Update 1: I’ve been slashdotted! Check out the slashdot article for more comments. Update 2: My favourite web-comic, xkcd, covered this subject a while ago. Welcome to the very late 76th carnival of Maths. As per tradition, lets start with the trivia. 76 is an automorphic number , can be written as a sum of three squares (2^2+6^2+6^2) and is the 9th Lucas number. If you have worked on the classification of multivariate data then you may well have heard of or used the Mahalanobis distance (I came across it for the first time when working with MATLAB’s pdist function). It turns out that this commonly used metric has rather surprising origins! Read all about it in Anthropometry and Anglo-Indians over at Jost a Mon. March 14th is, of course, Pi day and several bloggers have written something about everyone’s favouburite irrational number. Carnival regular, John D. Cook, brings us A Ramanujan series for calculating pi, 360 has The Difference and Qiaochu Yuan counters with Pi is still wrong. Finally, madkane brings us a Pi day limerick. Over at God Plays Dice, Michael Lugo brings us A street-fighting approach to the variance of a hypergeometric random variable and some of Denise’s favourite math websites have gone AWOL over at Let’s Play Math. Can you help her find them? Peter Rowlett asked Twitter for links to enthuse people about mathematics. Here are the answers. Finally, Guillermo Bautista gives us an example of the epsilon-delta definition of limits. The Carnival of Math desperately needs people to write and host future editions. If you have a math related blog and would like a bucket-load of extra traffic then contact me for more information. A couple of weeks ago my friend and colleague, Ian Cottam, wrote a guest post here at Walking Randomly about his work on interfacing Dropbox with the high throughput computing software, Condor. Ian’s post was very well received and so he’s back; this time writing about a very different kind of project. Over to Ian. I’ve noticed that natural scientists (as opposed to computer scientists) often write, or use, programs that produce masses of output, usually just numbers. It might be the final results file or, often, some intermediate test results. Am I being a little cynical in thinking that many users glance – ok, carefully check – a few of these thousands (millions?) 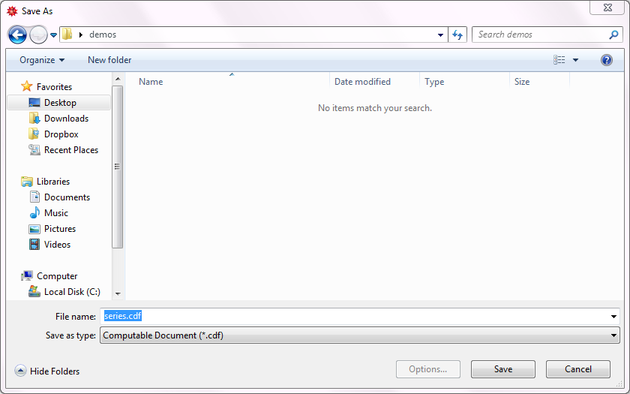 of numbers and then delete the file? Let’s assume such files are really needed. A little automation is often added to the process by having a baseline file and running a program to show you the differences between it and your latest output (assuming wholesale changes are not the norm). One of the popular difference programs is the Unix diff command . (I’ve been using it since the 1970s.) It popularised the idea of showing minimal differences between two text files (and, later, binary ones too). There are actually a few algorithms for doing minimal difference computation, and GNU diff, for example, uses a different one from the original Bell Labs version. They all have one thing in common: to achieve minimal difference computation the two files being compared must be read into main memory (aka RAM). Back in the 1970s, and on my then department’s PDP-11/40, this restricted the size of the files considerably; not that we noticed much as everything was 16bit and “small was beautiful”. GNU diff, on modern machines, can cope with very big files, but still chokes if your files, in aggregate, approach the gigabyte range. Back to the 1970s again: Bell Labs did know that some files were too big to compare with diff , and they also shipped: diffh. The h stands for halfhearted. Diffh does not promise minimal differences, but can be very good for big files with occasional differences. It uses a pass over the files using a simple ‘sliding window’ heuristic approach (the other word that the h is sometimes said to stand for). You can still find an old version of diffh on the Internet. However, it ‘gives up’ rather easily and you may have to spend some time modifying it for, e.g., 64 bit ints and pointers, as well as for compiling with modern C compilers. Other tools exist that can compare enormous files, but they don’t produce readable output in diff’s pleasant format. You won’t find this with the GNU collection as they like to write code to the Unix interface and I like to write to the C standard I/O interface (see the first bullet point above). An interesting implementation detail is that it uses random access to the files directly, relying on the operating system’s cache of file blocks to make this tolerably efficient. Waiting a minute or two to compare gigabyte sized files is usually acceptable. As the comments in the code say, you can get some improvements by conditional compilation on Unix systems and especially on BSD Systems (including Apple Macs), but you can compile it straight, without such, on Windows and other platforms. If you would like to try idffh out you can download it here.